More and more people are using bicycles as an alternative means of transportation. Communities are investing in creating “Rail Trails” to promote bicycle riding. With more bicyclists on the roads, there has also been an increase in bike accidents and serious injuries to bicyclists, often caused by distracted drivers. The number of hospital admissions from bicycle trauma injuries more than doubled from 1998 to 2013. This increase has been primarily due to increased ridership and hospital admissions of people older than 45. Injuries to bicyclists involved in accidents with vehicles are often serious and sometimes fatal. In June 2016, a bicyclist in Hudson, New Hampshire was making a left turn when a car failed to yield and struck the bicyclist. The bicyclist slammed into the windshield and front passenger side of the car. The bicyclist suffered injuries to his lower body and was transported by ambulance to the Southern New Hampshire Medical Center. 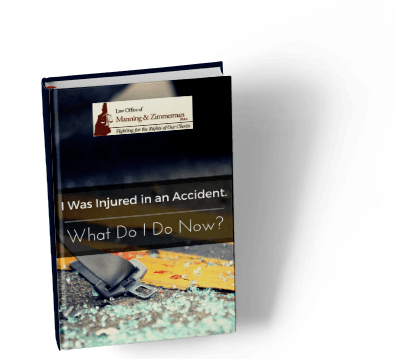 In July 2016 the driver of a motor vehicle fled the scene after striking and killing a bicyclist in Conway, New Hampshire, and in August 2016 another hit and run driver struck and injured a bicyclist in Wentworth, New Hampshire. Human error is a factor in most bike accidents. Vehicles pulling out of driveways are a common cause of injuries to bicyclists. Under the New Hampshire Vehicle Code, the “driver of a vehicle about to enter or cross a way from a private road or driveway shall yield the right of way to all vehicles approaching on said way.” NH Rev Stat §265:32. 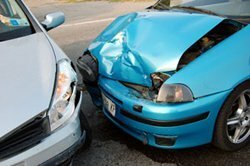 New Hampshire law governs those situations in which both parties involved in a crash may have some degree of fault. 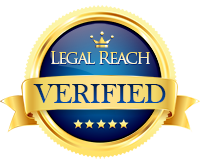 In this instance, an injured person may still file a lawsuit so long as his/her negligence is not greater than the party causing the injury. Damages are reduced in proportion to the amount of fault attributed to the injured party. 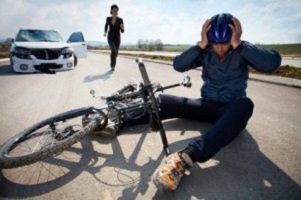 Bicyclists involved in an accident should review their case with the personal injury attorneys at the Law Office of Manning & Zimmerman who represent injured bike riders. Insurers will look for ways to place the fault for an accident on the person riding a bicycle. Thorough investigation and skilled representation are essential to obtaining a recovery for injuries suffered by a bicyclist. The following safety tips for bicyclists will help keep you out of accidents, reduce your injuries if you are in one, and help if you decide to file a bike accident claim. If you have been injured on a bicycle through no fault of your own, contact the NH bike accident claim attorneys at the Law Office of Manning & Zimmerman at (603) 239-2451 for a free consultation. Asbestos is a deadly carcinogen, known to cause lung cancer and mesothelioma while killing an average 15,000 people a year in the United States. It is a group of minerals that occur naturally as a bundle of fibers, found all over the world. These fibers can be useful because they are strong, resistant to heat and many chemicals, and don’t conduct electricity. It is because of these qualities that this material has been used as an insulating material for hundreds of years. Inhaling asbestos fibers is the most common way to be exposed. Although its use is not as frequent today as during the early part of the 20th century, inhalation is still a persistent risk. Any time a building with asbestos is demolished or renovated, it can be released into the air. At the same time, materials that contain asbestos can break down over time and also release particles into the air. Where could asbestos be lurking in your home? Click here to expand. Until recently the law of the land involving toxic substances was the outdated Toxic Substances Control Act (TSCA) of 1976. This act provided the Environmental Protection Agency (EPA) with the “authority to require reporting, record-keeping and testing requirements, and restrictions relating to chemical substances and/or mixtures.” TSCA included regulations for the production, importation, use and disposal of asbestos. Unfortunately, the law hadn’t been revisited for 40 years! However, the Frank Lautenberg Chemical Safety for the 21st Century Act was recently signed into law. This new law amends and updates the outmoded TSCA by including stricter regulatory standards, and replaces TSCA’s old cost-benefit safety standard with a new health-based safety standard. This new standard opens the doors for the EPA to officially ban asbestos in the U.S., something it has been trying to do for many years. Asbestos risks can be found everywhere, but there are ways to protect yourself and your children from exposure. Here is a brief overview, but click here for a complete guide to identifying and preventing potential risks. Your employer should be following all Occupational Safety & Health Administration (OSHA) regulations for hazardous chemicals, but be sure to take your own precautions and report any unsafe working conditions. Ask your employer about any asbestos-related health risks in your place of work. Always wear protective gear when you may disturb asbestos. Don’t bring home work clothes that may contain asbestos particles. Always dispose of asbestos materials according to state and federal regulations. Most asbestos exposure occurs during home renovations. If you’re planning on tackling any home improvement projects, protect yourself and your family. Some of the in-home items that may contain this substance are: attic insulation, shingles and tar, drywall and popcorn ceilings. If you have an older home, don’t perform DIY renovations where it may be present. Never attempt to remove it without help from a professional abatement specialist.